January sees Frontiers release albums from two of the 1980s stalwarts rock vocalists. 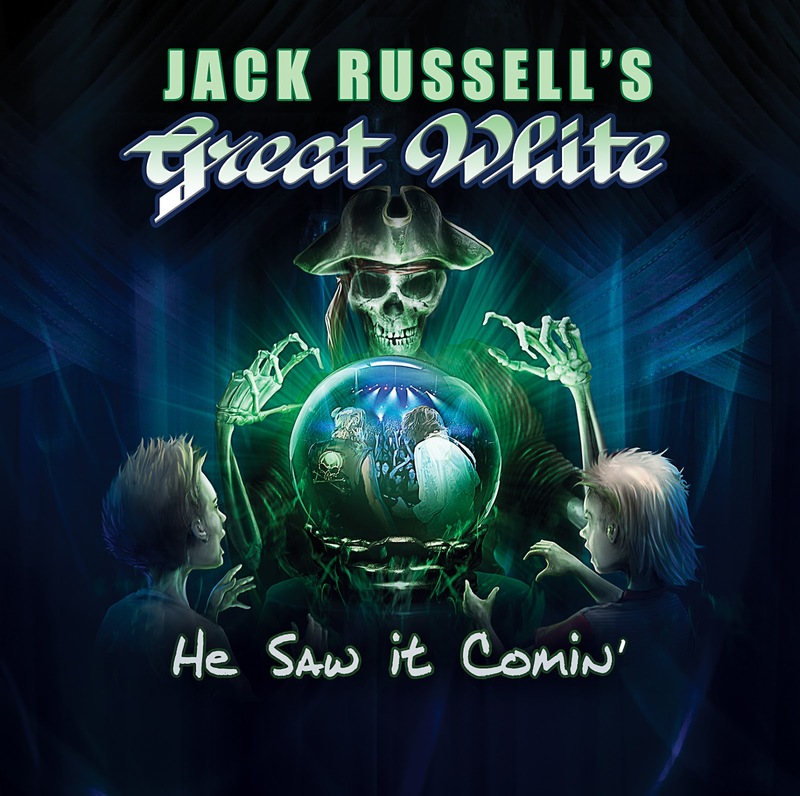 First up is Jack Russell with his version of Great White. I have to admit that most of the time, any version of a split band will see me go for the singers version as that’s where a lot of the iconic sounds emanate from. One exception to the rule is Queensryche – where I’m on the side of the Todd version. In December 2011, Jack Russell’s Great White first bared its teeth. Since its inception, the front man welcomed back longtime bassist and friend Tony Montana—this time as a guitar player and keyboardist—lead guitarist Robby Lochner, and drummer Dicki Fliszar. 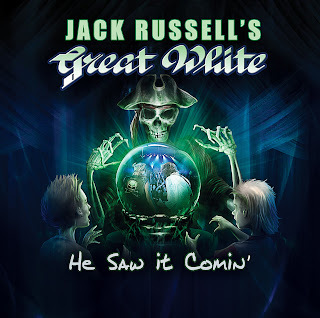 Now, this group has a sharp, soaring and slick new album ready, boasting the bluesy Hard Rock stomp that made Russell and Montana icons in the first place. Montana agrees, “It’s got the classic sound. The first element is Jack’s voice. No other band sounds like this one ever did or does now. I would love to say that HSIC is up there with their 80’s heyday albums, I don’t even think its up there with the albums they released in the 90s – and they were not the greatest. To be honest, listening to the opening track ‘Sign Of The Times’, it took me straight back to the 80s. Russell sounds no different as he did back then, even if he looks nothing like he did back then! It’s the only song that’s decent enough to grace the Great White name and legacy. It is a cracking tour de force with a riff that’s oh so simple but oh so effective. In fact its more Dokken than Great White, but I aint complaining. ‘My Addiction’ lacks any real substance. I suppose it is a subject very close to Jack Russell and deserves kudos for writing about it. The man has been through more in 56 years than most have to endure in 10 lifetimes. ‘He Saw It Coming’ is the second highlight here. A good song that takes snippets of Queen, Styx and Lieber/Stoller’s ‘Trouble’, and has some decent harmonies and is well structured and is a sprinkle of stardust amongst some garbage. From here to the end its not so much as the wheels have fallen off, its more like the car has been impounded, crushed into a small cube, and then set fire to….and to make matters worse, the radio still works, just like Christine! There’s not a lot to say about the remaining four songs as they are just standard fodder that will generally be listened to once, then confined to the bin on your fruit based, or robot based listening device. Two good songs out of eleven just isn’t a good enough return. I don’t know if Frontiers have any quality control over the bands he is putting out, but this one certainly didn’t get any additional input. On the plus side, theres ‘Sign Of The Times’, ‘He Saw It Coming’, and Jack Russell’s still got a decent set of pipes. The negatives are some bland songs that just plod along and offer no great vehicle for Jacks voice to shine. Its probably the poorest Frontiers release in quite some time. Now, lets see if Stephen Pearcy fares any better…..